It's been almost a year since I wrote something here. Three months into the New Year, it's already a packed schedule for the next six months. The good news is that Axess Legal Corp has expanded its presence beyond Delhi. We have a new office set up in Myanmar, new initiatives in Hyderabad and Chennai and some interesting tie-ups in the pipeline. Okay, that's the work front. The real fun stuff is on the cricket ground, where teams of Supreme Court lawyers get together in teams and we play. Now you can guess how the weekends are packed for a game of cricket that ends only by evening. As some one rightly put it, "Every day may not be good, but there's something good in every day." It has been a hectic start to the year and there have been many happy moments we witnessed. This snapshot with my parents is one of those happy moments, and it was taken on my son's 9th birthday. Your turn: What have the last few months been like for you? Celebrate the good times with family, no matter how busy it gets. It's worth it. It's happiness. 2014 has been a year of constant travel and lots of work, professional tie-ups and networking. October-November has been all about traveling. A trip with family to Sydney kept us busy.In Sydney, one of our favorite hang-out spots was Darling Harbour. Here are some snapshots taken by my son Jyotiraditya who had the camera strapped to him most of the time. If you liked seeing these pics, do drop a line. That would brighten up an eight year old's interest in photography! We all look forward to getting our own homes but waiting endlessly for it is a real pain. In cities like Delhi, Gurgaon and Noida, home buyers have been waiting for more than five years to get their flats delivered! So, what are our rights, as home buyers? Take a look. 1. Has your builder got all required permissions from the local authority? 2. Can the builder share with you a copy of the Commencement Certificate? 3. Have a host of other approvals that fall under the category of Intimation of Disapproval (IOD) been complied with? 4. Get an expert's opinion on the quality of construction and interact with other residents. 5. Put in your request for any modifications in writing and explain your valid reasons for doing so. Keep your tone friendly and neutral. Your point is to get the home of your dreams, not to lock horns with the builder who is working on it. 6. By law, you are entitled to get a free parking space but make sure you confirm this before booking your flat. 1. Incorporate a clause relating to compensation for delay in delivery. If the builder delays, you still have a water tight contract that safeguards your interests. Send your builder prompt gentle reminders of the delay and keep copies of your communication with you. The point is, if you ever have to take the matter to court, you can prove that you were not a dormant stake holder. 2. Ask if your builder can offer maintenance-free period and state the duration of such period. If yes, the key members who form the housing society, should ask in writing for the builder to deposit the money in advance to cover the maintenance charges for the said free period. 3. With technology at your finger tips, make collaboration the focal point of your communication. You can start a Google group to keep filing the latest updates and to get information from everyone else too. It's a great way to socialize with your 'would-be neighbors' but don't go overboard with sharing personal or financial information. Keep this tip in mind: The best way to safeguard your interests as a home buyer is to incorporate maximum clarity and transparency in your agreement with the builder, with each party's roles, duties and responsibilities clearly explained. Send your feedback & queries to sanram77@gmail.com. You can also follow Sanand on Twitter and ask your legal queries on Sanand Ramakrishnan's GooglePlus page. 2014 began on a hectic pace for me and the year seems to have simply flown and we are already in mid-June. We at Axess Legal Corp welcome the change of government at the Centre. There is renewed vigor across sectors and particularly, a positive buzz among lawyers. There is scope for tremendous improvement in India's taxation laws. Amendments are likely to take place in several areas of law, such as taxation, land acquisition, judicial appointments and accountability and the Electricity Act, just to name a few. You are justified in thinking, "What's the point of changing laws?" Changing laws corresponds to changing times and needs. Some of the areas mentioned above urgently require revitalization that can only come through legislation. The ordinary man, companies that look to invest in India, start ups and other entities stand to benefit from the proposed changes. The debate and the details are being worked out but everything is happening quickly and decisively. This is the change we want to see in the country, besides opportunities for job creation, more investments and a tax friendly regime. So, what has the first phase of 2014 brought you? How happy are you - that is the relevant question. 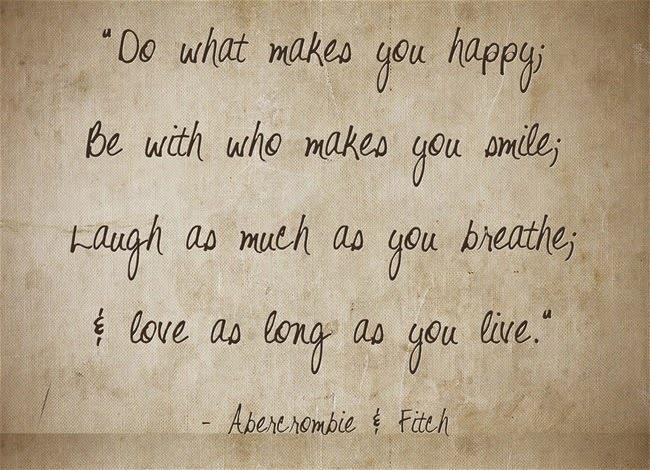 Leaving you with a happiness quote that I believe in. Do write in. It's been a whirlwind 2013 for me and for Axess Legal Corp. The first quarter picked up pace in March 2013. In fact, there were days and nights that the entire team worked without a pause. Difficult to forget the night when clients unexpectedly turned up with an emergency situation and I missed attending my son's seventh birthday celebrations and returned home at about 1 AM. Coming back to 2013, the year has been mostly good, particularly after August. Of course, there is always a tossing in of a few surprises here and there. But it's been a positive journey so far for Rajeev & me as we worked towards expanding our areas of legal expertise and experience. Somewhat, pushing the envelope and testing new waters, you could say. Though the courts are closed since last week, the office is busy and running with several client meetings and trips scheduled in advance. We have good support staff with a strong client focus - a HUGE advantage for any budding law firm. And the good news is that the pace of work is increasing as we head to the New Year - a good sign for lawyers like me who aren't bullishly into marketing a law firm over the Internet. What has 2013 been like for you? What are your New Year resolutions for 2014? Do drop by and share your thoughts. Who knows - you may inspire me to contemplate and commit to some serious New Year resolutions. You are looking at a moment when my son and I passed by the village areas behind the Fort Kochi backwaters. The place is surrounded by small homes parked right in front of the sea. Boats, fishing nets and other fishing equipments are clustered around the area. We stopped the car - my son and I - because the crashing waves caught our interest as did the fishing nets. I let my son play among the wild waves for a few minutes. Tossing, turning and catapulting. Kids know how to loosen up and have fun. They teach us to have fun too. If you have any parenting quotes that resonates with you, share it here. We can learn a lot from each other.